SELFIES with the regulars at The Salutation added a 21st century touch to Mangotsfield's celebrations of 100 years of the Women's Institute. 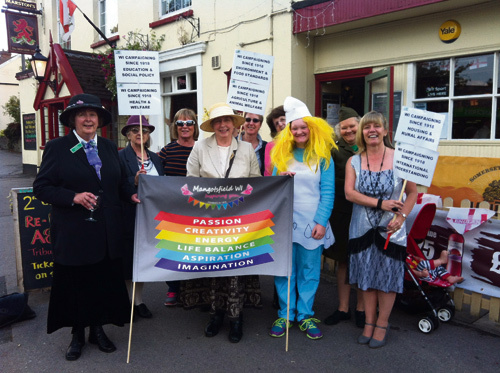 Mangotsfield WI members dressed up in costumes to represent the ten decades of their organisation and took part in a parade around the village. President Carol Coombs wore the outfit of a suffragette, depicting the campaigning women around at the time the WI began in 1915. The organisation has been taking up important issues ever since, and other members carried placards outlining some of the areas their resolutions have covered, including education, health and welfare, housing, international understanding and rural affairs. The WI procession, which included a marching band, took them to the Red Lion and The Lamb and was followed by an evening celebration at St James Church Hall. The parade provided a first outing for the Mangotsfield institute's new banner and logo, which was devised by members and created by Mrs Coombs's husband Pete. Mrs Coombs, who also had a WI window display at her hairdressing salon in St George, said she was proud and privileged to be part of a movement that has meant so much to women's lives for a century. 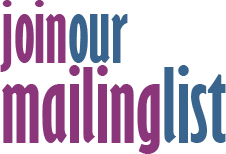 This month, Mangotsfield will join other WIs from Downend, Hanham, Frenchay, Winterbourne, Hambrook and Staple Hill for a centenary celebration cream tea.